Dr. Theresa Gardocki was born and raised in the thumb of Michigan. She graduated from the University of Michigan School of Dentistry. Dr. Gardocki has been serving the dental needs of Dane County residents for over 35 years. She is recognized by the Academy of General Dentistry for 35 years of excellence in continuing education. Through this education, she brings the newest techniques and materials to her practice. Dr. Gardocki has her Fellowship through the Academy of General Dentistry. To receive this prestigious recognition, doctors must complete 500 hours of continuing education and pass a comprehensive written exam. Less than 10% of dentists in the United States are awarded with this degree. Dr. Gardocki taught in the general practice residency at the Meriter Hospital Dental Clinic for 34 years until its closing in 2015. She has served as a trustee and board member for the Dane County Dental Society, and has worked at Access Community Health Center serving public health needs. Her volunteer efforts have taken her all the way to the orphanages of Romania where she has treated hundreds of children in several different locations. Her professional affiliations include: The American Dental Association, The Wisconsin Dental Association, The Academy of General Dentistry, The American Society of Dental Anesthesiologists, and Tempo International. In 2004, Dr. Gardocki was awarded the American Red Cross Hometown Hero Award for Health Care for her work in Romania. Outside of work, Dr. Gardocki enjoys spending time with her husband Jon and her two children Paul and Alina. She also has a strong passion for dog rescue, often opening her home to rescues from high-kill shelters. Dr. Gardocki was a former college athlete. She was inducted into her hometown sports hall of fame and she still holds career ERA pitching records for the University of Michigan softball team. 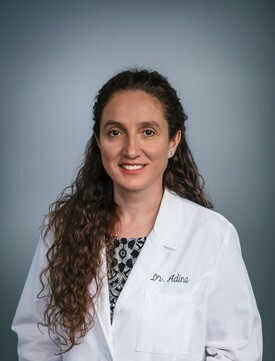 Dr. Adina was born and raised in Romania. Her father was the director of an orphanage and she spent many hours with him helping to care for the children. Through that experience she developed an enormous heart and desire to help people. While there, she recognized the tremendous need for medical and dental care, and that influenced her decision to become a dentist. For many years, Dr. Adina has been providing free dental care to underserved children in Romania, Central America, and the United States. Dr. Adina strives to provide her patients with a gentle, caring, and comprehensive approach to oral health. Her goal is to increase the longevity of her patients’ teeth. She believes that proper dental treatment is more than just fixing teeth; it is about touching lives and making the world a better place. 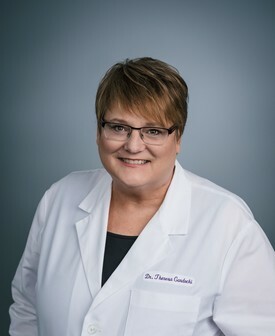 Her professional affiliations include: American Dental Association, Wisconsin Dental Association, Greater Dane Dental Society, Wisconsin Oral Health Coalition, Oral Health Coalition of Dane County, and Christian Medical and Dental Association.